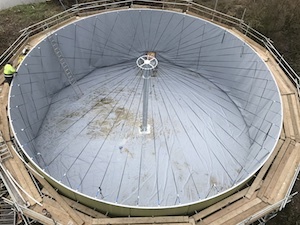 Anaerobic digestion is the simple, natural breakdown of organic matter into carbon dioxide, methane and water, by two groups of microorganisms, bacteria and archaea. Since many of these are intolerant to oxygen, this process is known as anaerobic. At the end of the process we have a mixture of methane and carbon dioxide gases (biogas), water and some organic material (digestate). 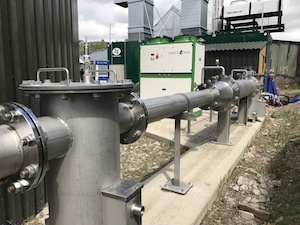 Biogas can be burned to produce both heat and electricity, while methane can be used as vehicle fuel or injected into the gas grid. 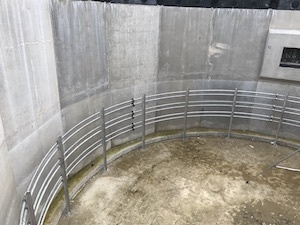 Digestate is a stable, nutrient-rich substance and can be used for a range of products and purposes: most usefully as a fertiliser, rich in nutrients. 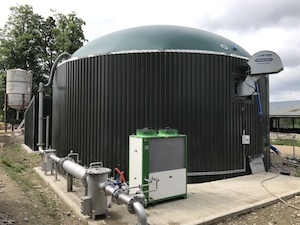 Biogas Products Ltd design and build simple, robust and fully automatic anaerobic digesters ranging from 50-500kW, that will mix and heat a homogenized feedstock. We enable our clients to save money by giving them the option to ‘self build’ or take control of elements of their build. We will also work with the client to provide them with the best possible system to meet their budget. 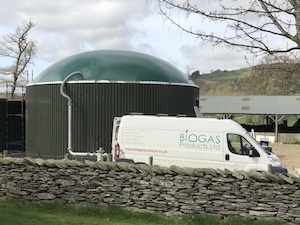 Biogas can be conditioned to different levels depending on the quality, depending on your engine or it’s intended use. 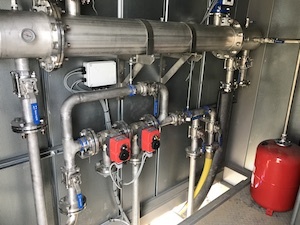 See our range of biogas conditioning equipment. We can also provide you with general advice or detailed designs for a complete gas train installation.